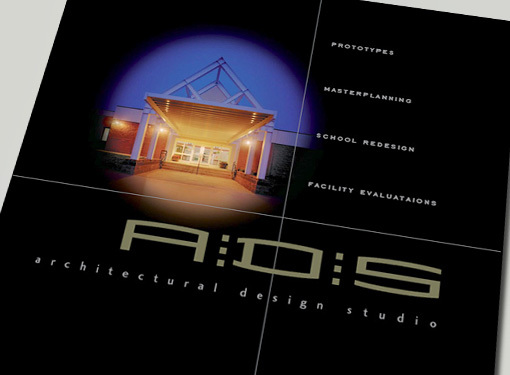 ADS is an Asheville-based architectural firm specializing in constructing schools, churches, and other institutional projects. 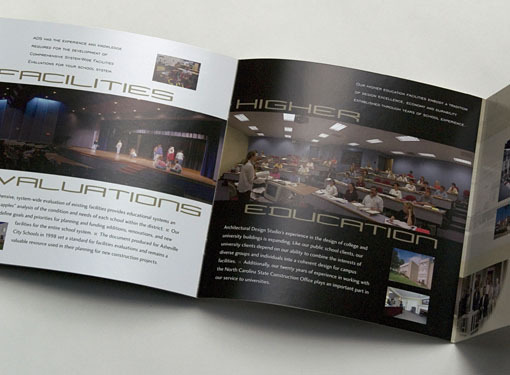 They needed both a mailer and a leave-behind brochure aimed at the educational market: one that conveyed their expertise in a memorable way, within tight budget constraints. 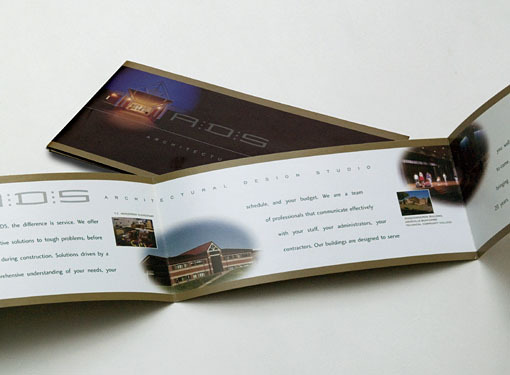 The solution was a mailer that folded to fit inside a regular #10 envelope, but unfolded in an unconventional, exaggeratedly horizontal format. 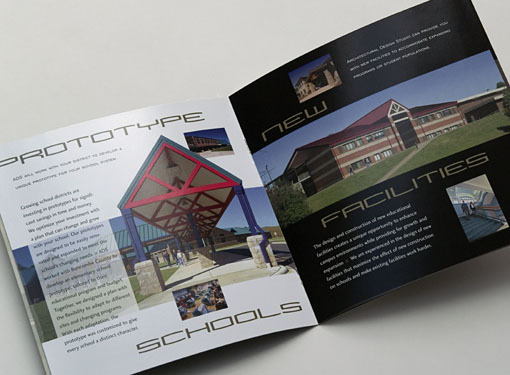 The leave-behind was designed to highlight David Dietrich's beautiful photography, which conveys the range of projects ADS has produced throughout western North Carolina. Photography by David Dietrich Photography. "Steve’s attention to color, texture and form created for us striking images and an identity that highlighted our particular architectural experience while expressing our commitment to good design." We’re ready to work for you. Let’s get started. ...use this handy form to let us know what you are looking for. We’ll be back in touch just as soon as we can. Copyright ©2016, MarketDigita,LLC. All rights reserved.